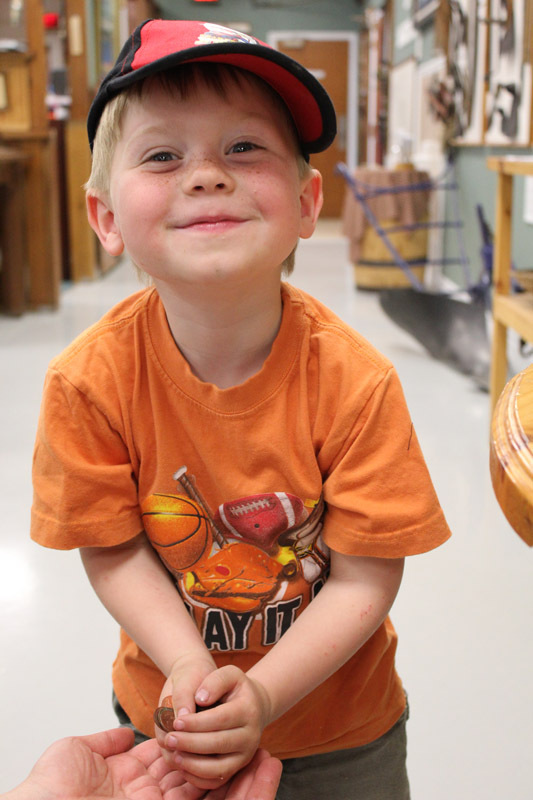 Huronia Museum fan McKenzie (who turns 5 years old today) dropped by the museum yesterday to donate some pennies for our HUMM program. Thanks, McKenzie! MIDLAND, Ontario, April 21, 2008 — The Midland community’s Huronia Museum will benefit from a five-year marketing strategy, thanks to an investment by the Government of Canada. Bruce Stanton, Member of Parliament (Simcoe North), on behalf of the Honourable Josée Verner, Minister of Canadian Heritage, Status of Women and Official Languages, today announced funding for the Huronia Museum. Funding of $8,400 will help the museum undertake a strategic marketing study, designed to help attract more visitors to this historic site. The Huronia Museum houses collections that feature Huron and Ojibway cultural history, art by artists from the Georgian Bay Region, the marine history of Georgian Bay, and the local history of the people, communities, and industries that have served the region for the past four hundred years. The Government of Canada has provided this support through the Capacity Building component of the Canadian Arts and Heritage Sustainability Program. This program of the Department of Canadian Heritage supports modern management and greater financial stability in arts and heritage organizations.